If your Ford 4.0 is overheating, (or not getting up to operating temperature) first thing to do is check your radiator fluid. If it's up to level, than it's almost always the thermostat or the fan clutch. It's easy to tell which one is causing the problem: If it overheats in city driving, but not highway driving, it's the fan clutch. Easy to fix, just undue the two bolts at the top of the radiator/fan shroud, lift it up and back. This will allow you to get to the fan clutch bolts (reverse thread I believe.) Now just replace the fan clutch and reinstall the shroud. 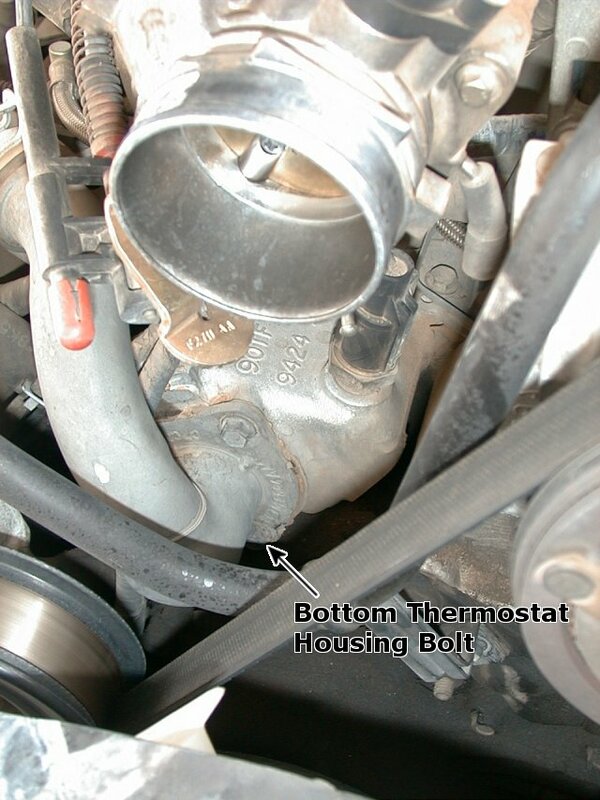 Whatever thermostat you get, make sure you pick up a thermostat housing gasket just in case. 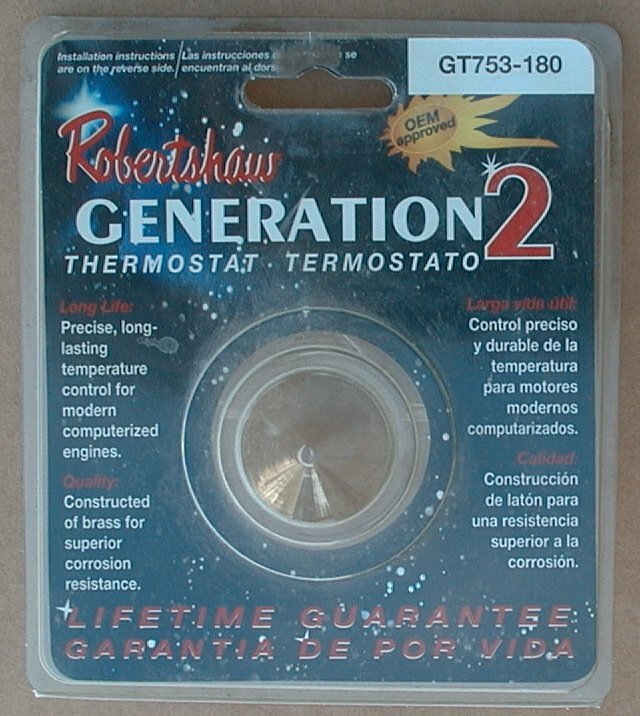 It's not really a gasket, but a big O-Ring that goes around the thermostat. You might be able to reuse the old one, but it's better if you have a new one. You will need a 10mm wobble socket and rachet to get the bolts out easily. It's pretty easy if you have the right tools. If not, it'll be a "PITA." Just remove the screws holding the air channel (some people call it the "intake") by loosening the clamps at each end, and the slipping off the hose on the left side. Also it helps to remove the cover over the throttle body. Again, all these are 8mm bolts or screwclamps. 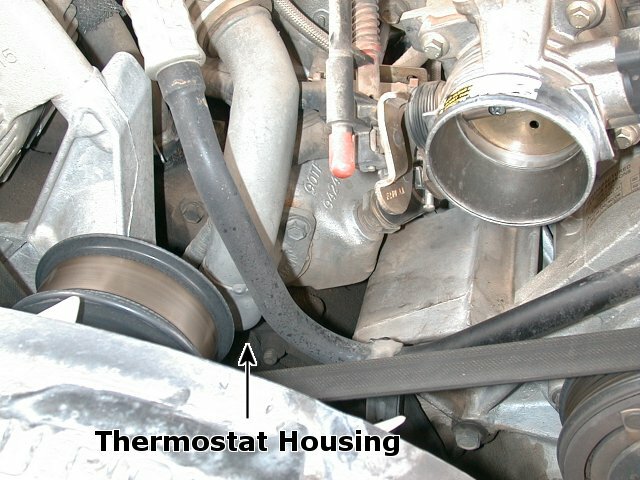 Just follow the upper radiator hose down to where it connects to the block and you'll see the thermostat housing held on by 3 bolts. They are 10mm bolts. Replace the thermostat with the new one, making sure to put it in the same direction, and bolt everything back together. That should fix your problem for another 40K-50K miles.